As I said yesterday, today we head early to Bali. Why? So we can interview Charley Patton, co-founder of the Yoga Barn, SE Asia’s full service yoga studio, holistic healing retreat center. A native Californian, Charley escaped the corporate world after 16 years in 2004 by embarking on a year-long solo bicycle journey through Southeast Asia. En route to Cambodia via Australia, he stopped in Bali for what was supposed to have been just two weeks…Almost ten years later, Charley is still in Bali. A founding partner in all things Yoga Barn, Charley is passionate about shifting people’s life experience for the better much like his was shifted in 2004. As it turns out, Charley is currently in San Francisco. He and his wife just had a baby girl. Congratulations to you and your wife, Charley! But not to worry, our interview with Charley is still possible. We live in a virtual world. We can meet with anyone, anywhere…so here are Charley’s responses from The City by the Bay. DDoA: When did you start practicing yoga? 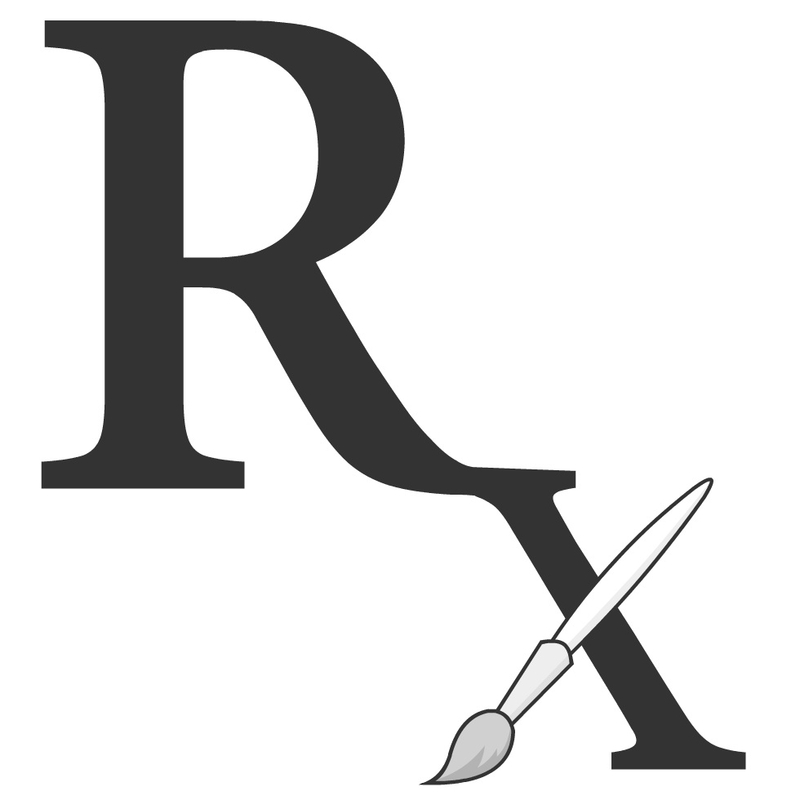 DDoA: What sparked your interest in the practice? CP: I found it an excellent way to mitigate the stress of a busy corporate job … I was 16 years @ Getty Images, with 30 people reporting to me, and two offices: one in Los Angeles & one in San Francisco. But what it led me to was to have to courage to quit my job, and take a solo bicycle tour for one year through SE Asia. It was during this trip in 2004, that I discovered Bali. DDoA: What was your profession before teaching yoga? CP: Director of Film Sales @ Getty Images. DDoA: From where/whom did you get your yoga training/certification? 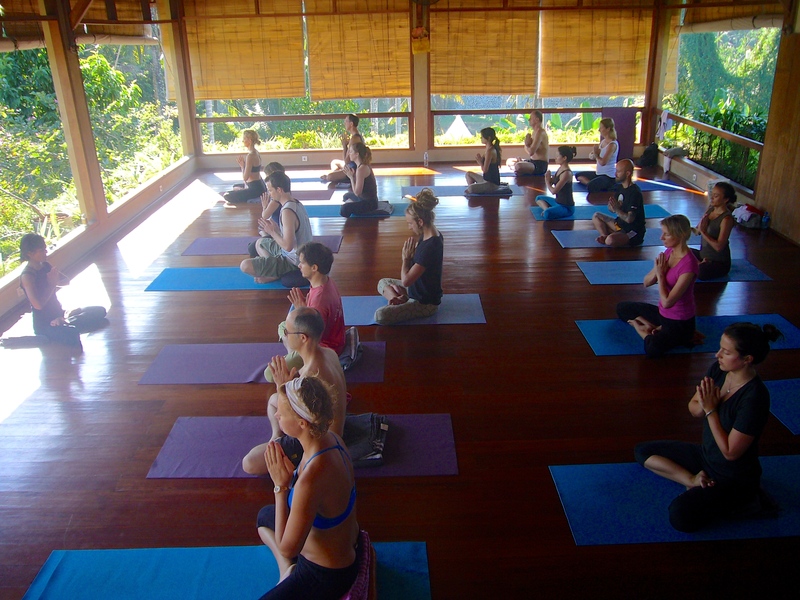 CP: I do not actually teach yoga, but I am a certified teacher through The Hatha Yoga Center, Bob Smith & Ki McGraw, who hold yearly teacher training at their small shala in Bali … just outside of Ubud. DDoA: What dictum/philosophy do you live by now that you are a yoga professional? CP: Follow your passion … the rest comes naturally. DDoA: Tell us an inspiring story…perhaps a story of transformation of one of your guests/clients…or perhaps what you experienced as a yoga teacher/ yoga center owner that has inspired you to keep on with what you are doing at the Yoga Barn. CP: There are many … but to keep it short, I would say I’m most inspired by those who come to Yoga Barn unsuspecting, who find me to say their lives have changed for the better, and that they plan to take home with them what they have learned… to follow their own passion, and to inspire others to do the same. 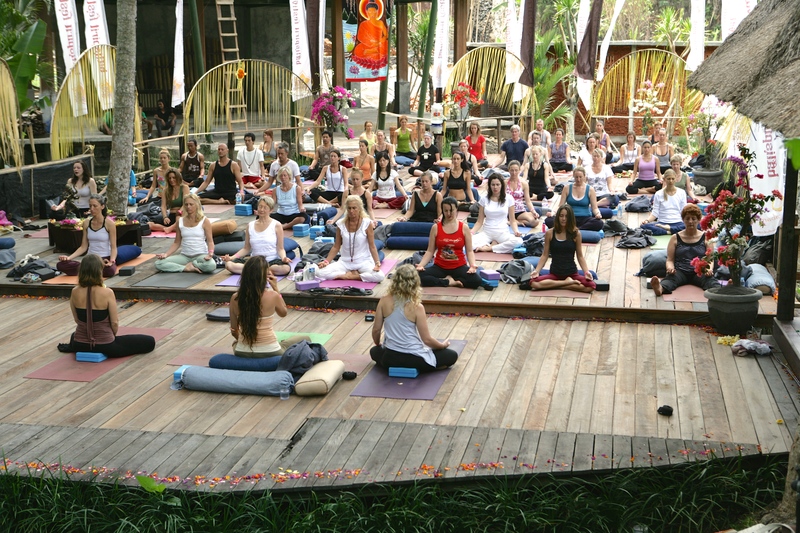 The Yoga Barn was created by its founders for the sole purpose of bringing together community and giving back to the island of Bali. Located in the heart of Ubud*, Bali’s cultural hub, The Yoga Barn is SE Asia’s full service yoga studio, holistic healing retreat center. 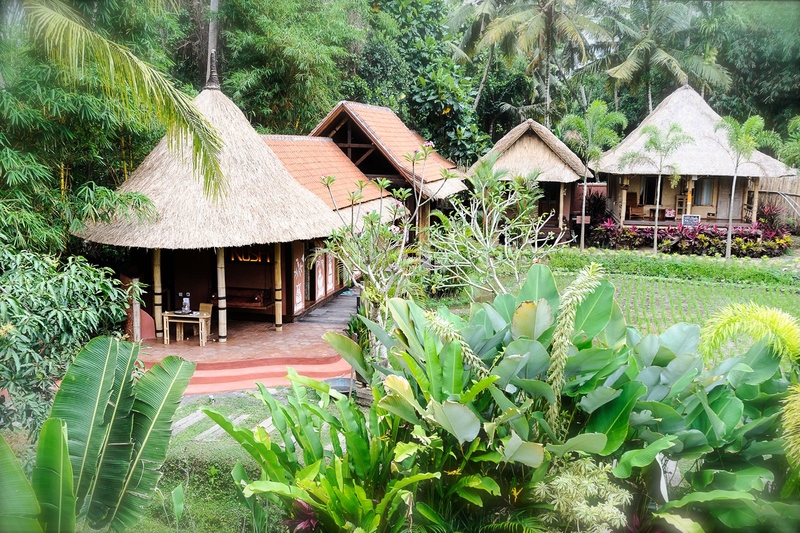 Launched in 2007, The Yoga Barn’s buildings have an indigenous Balinese feel to them. Coupled with a spiritual vibe, The Yoga Barn is at once earthy and rustic, relaxing, friendly and unpretentious. As a center dedicated to healing and renewal, The Yoga Barn provides a lush and inspiring environment for the nourishment of body, mind and soul. 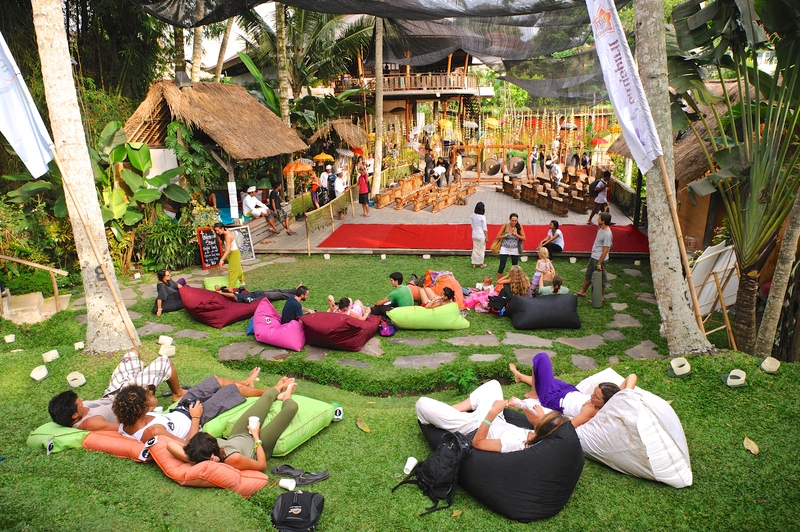 *‘Ubud’ actually derives from the word ‘Obat’ (medicine). Ubud has always been a place of retreat, health & healing. DDoA: Tell us a little bit about the history of the Yoga Barn. CP: It actually goes all the way back to 2002, and the Bali bombing. 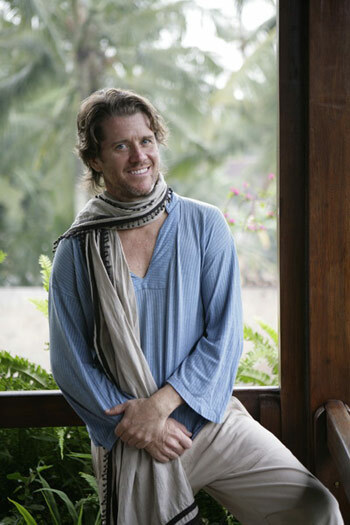 I was not yet on island, but my future business partners Meghan Pappenheim & Made Gunarta, had the idea to create ‘Balispirit.com’ … a hub for all things Holistic. The concept was to attract the type of tourist back to the island that respects & values Bali for its natural and intrinsic beauty: the depth of its spirituality, its culture, its peaceful Hindu religion, its beautiful heritage, its fascinating history. The spiritually inclined tourist has been coming to Bali for decades for exactly these reasons. In 2004, Meg & Dek opened ‘KAFE’ on Jalan Hanoman, and created a small yoga shala on the third floor above the restaurant. Initially, classes were one per day, by donation, and a class was considered ‘large’ if it had eight students! In 2005, I met Meg & Dek, we became quick friends, and we started discussing the possibility of creating a dedicated community center. Long story short, we found our current piece of land, took the leap of faith, started construction, and opened for business in December 2007. DDoA: How did you come up with the name Yoga Barn? CP: We intentionally named our establishment “The Yoga Barn” … A “Barn” is a rustic, un-pretentious, come-dressed-as-you-are kind of place. People of all shapes & sizes, countries & cultures are most welcome … Every ONE who has a BODY (EVERYBODY) can do YOGA! You will note our buildings are all traditional, craftsman-style, created with reclaimed structures & recycled wood, all within the cultural and local aesthetic of Bali. Hence, we truly resemble an Indonesian version of a “Barn”. DDoA: What are the core principles of your existence as a business? as a community center? CP: We are first & foremost a Community Center … a hub or gathering place for people of like mind to connect, and we are the kind of people that we attract; down to earth, humble, authentic, truthful, transparent, and passionate about the health of ourselves and of our planet. Our vision is to provide an inspiring and beautiful environment for the nourishment of body, mind and soul. We could not do this without our teachers, who have very large hearts, and are incredibly passionate about what they do. CP: We offer the ultimate “Yogic Buffet” for the spiritually inclined tourist. Whether a complete beginner, an experienced practitioner, or somewhere in between, we have something on offer for everyone. Whether one’s yoga is more traditional (Hatha), physical (Power, Vinyasa), subtle (Slow Flow, Morning Flow, Qigong), meditative (Meditation, Yoga Nidra), active (Ecstatic Dance), devotional (Kirtan), musical (Sound Healing), educational (Monday Movies, Dharma Talks) … there is something here for everyone. On our “Yogic Campus” we have five studios, two of which are dedicated to ongoing, daily classes of all kinds … from 7am until 9pm, 10-11 classes per day, 75+ classes per week. We also host ongoing teacher trainings, group retreats, special workshops, musical events, and private one-on-one classes in our remaining three studios. We have a healthy back garden cafe, which caters to the health-conscious. We have an Ayurvedic Rejuvenation Center ‘KUSH’ … a sanctum within the Yoga Barn designed to rejuvenate and optimize at all levels of being. We also have a Holistic Healing Center that caters to other modalities of health & healing, including: naturopathy, allergies & tropical diseases, fasting & detox, colonics, craniosacral therapy, chiropractic therapies, acupuncture, sound healing, infra-red sauna therapy, Trinfinity8, and other modalities. DDoA: Tell us about the significance of the practice of yoga in our times, in our world. CP: The earth is faced with a myriad of global challenges, and we are ALL interconnected. With population growth and the rapidity with which we are depleting our resources, we are not on a sustainable course. 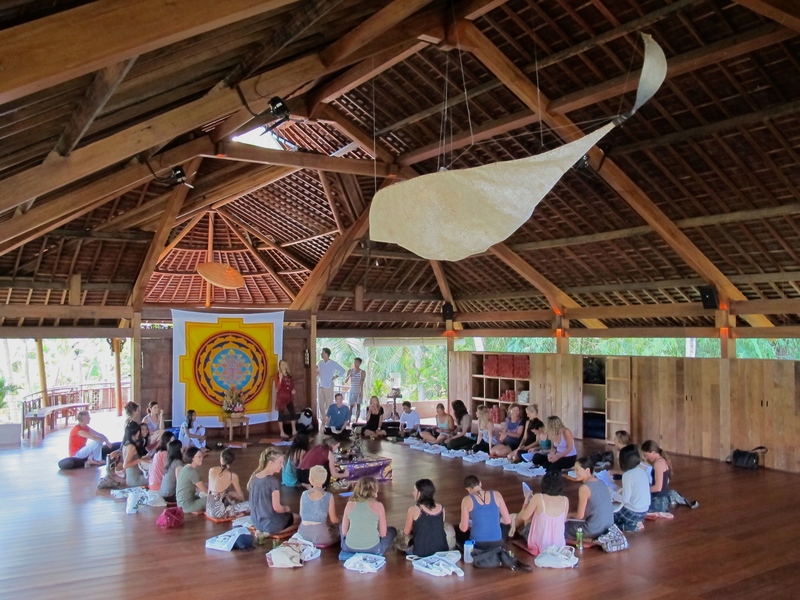 So how does this tie to yoga, health consciousness a small community center in Ubud? Yoga allows us an opportunity to focus inwards, and place ourselves first. Before one can help others, one has to first help oneself. You help yourself by giving yourself the time to pause, breathe, think, reflect. You help yourself by nourishing your body with wholesome, nutritious, organic foods. You help yourself by focusing inwards, discovering what natural talents you have to better offer the world … to follow one’s *Bliss* or passion. You help yourself by taking care of the temple that is your body through healthy food, exercise, rest, sleep, fresh air. You help yourself by reflecting on the thoughts that run through your head, focusing on those that are inspiring, positive, and affirm to higher values. None of us lives in a vacuum, and by first taking care of ourselves, we naturally have a more positive effect on those we come into contact with … Are we in “right relationship” with our significant others, our family, our friends, our community, our society, mother earth? Yoga allows us an opportunity to redefine what is true wealth (those items listed above) and not the material items we possess or the balance of our bank account. DDoA: And finally, Charley, how do you see the future unfolding for the Yoga Barn? CP: Consumption of mass media takes away our power … and leaves us feeling empty and helpless, convincing us that we can’t change the world. I believe we can, and that we will. This is the challenge of our age. We each have the power to change, but this power will not be given to us from some external source. That change must first come from within. 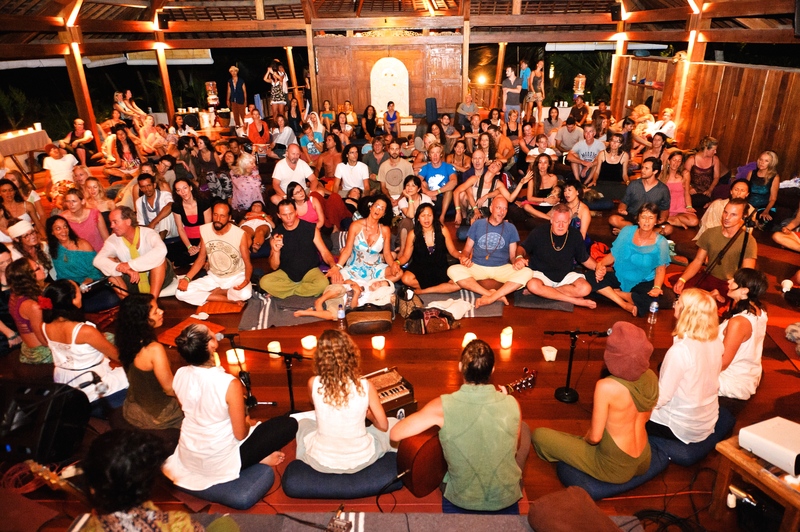 I see The Yoga Barn, in its own small way, as a leader in this global wave of change. 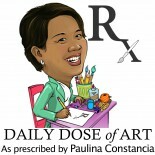 This entry was posted on October 18, 2014 by Paulina Constancia in Care, Connect, Teach and tagged healthy living, inspiring individual.